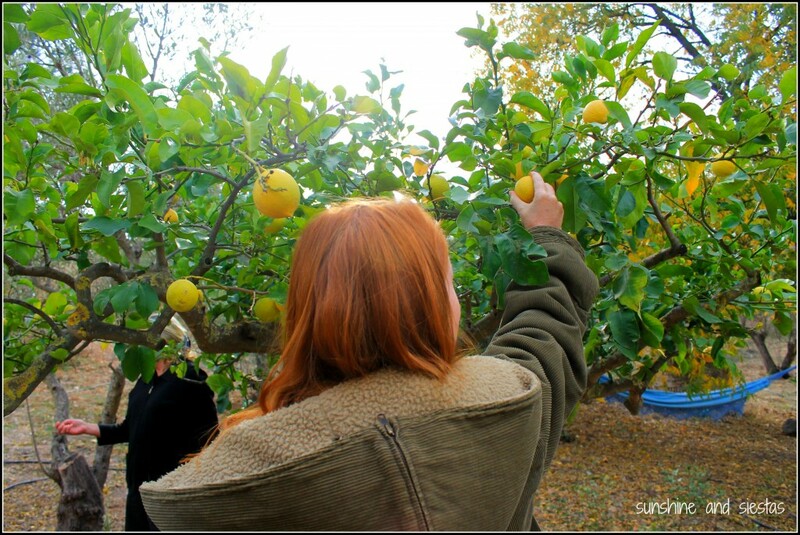 In the winter months, citrus fruits, figs, mushrooms and chestnuts are ripe and ready to be picked. Olive oil harvests begin, and crops like pumpkins, avocados and leeks begin to pop up in supermarkets. As a kid growing up in the icy Midwest, we’d often have raspberry and tomato plants, which only came around in the summertime. My grandpa lived in Orange County and would send us navel oranges as holiday gifts – without fail, there’s always one at the very bottom of our stockings on Christmas morning. Coming from a country that pumps horomones into everything we consume, Spain is a breath of fresh air. Horomone-free, that is. I have learned to live with seasonal products. Strawberries comes in the early spring, sardines are best eaten in the months without an R in the name, and tomatoes are available year-round, thanks to greenhouses in nearby Los Palacios. Winter means fig jam, roasted chestnuts and zucchini soup. 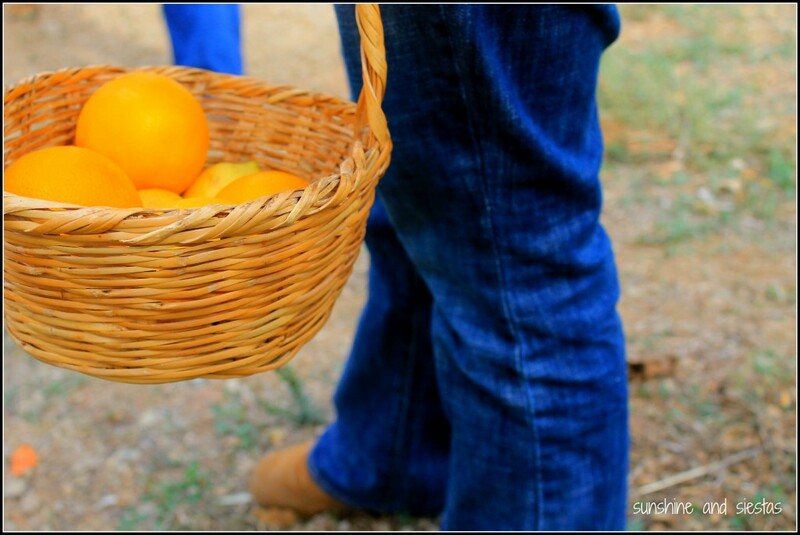 As part of our day in the malgueño countryside, Mickey and I searched a small orchard for the ripest figs, lemons, and oranges. Honeybees continued to flit around the fruit that had fallen to the ground and smashed open. 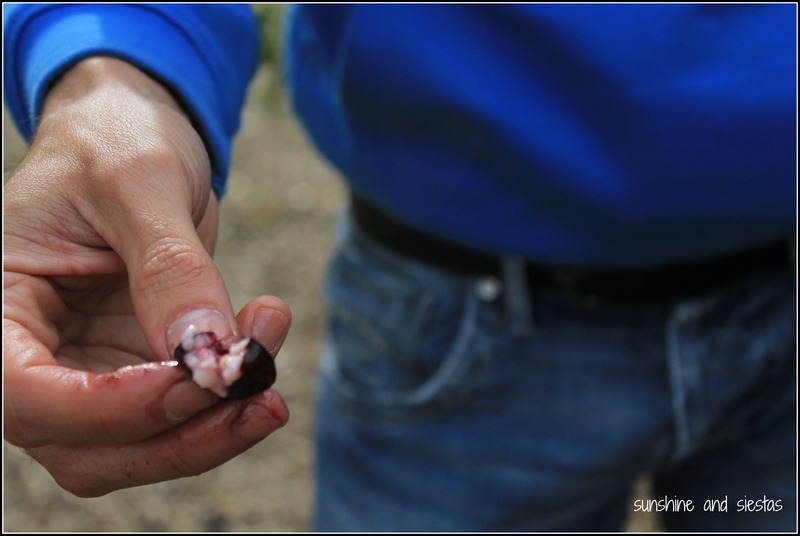 Sergio crushed a few ripe olives, showing us how oil was traditionally extracted from Southern Spain’s star crop. 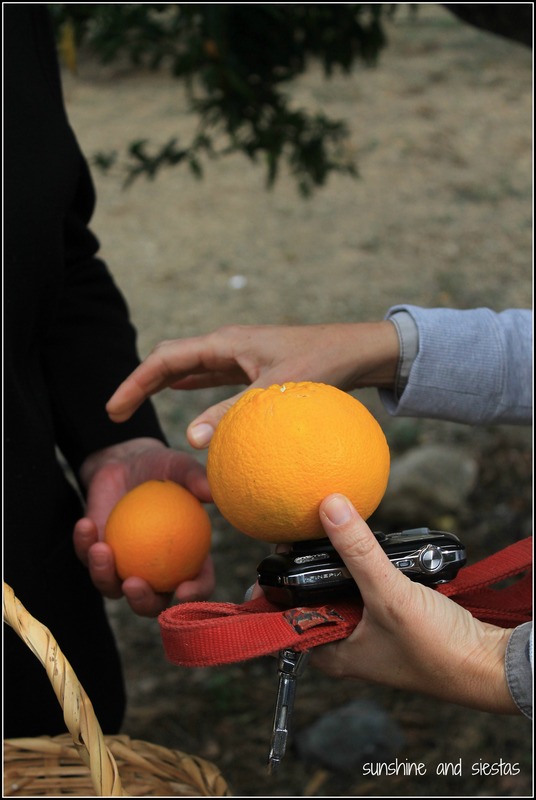 Mayte explained how to pick the best fruit, which had been victim to little rain this year. 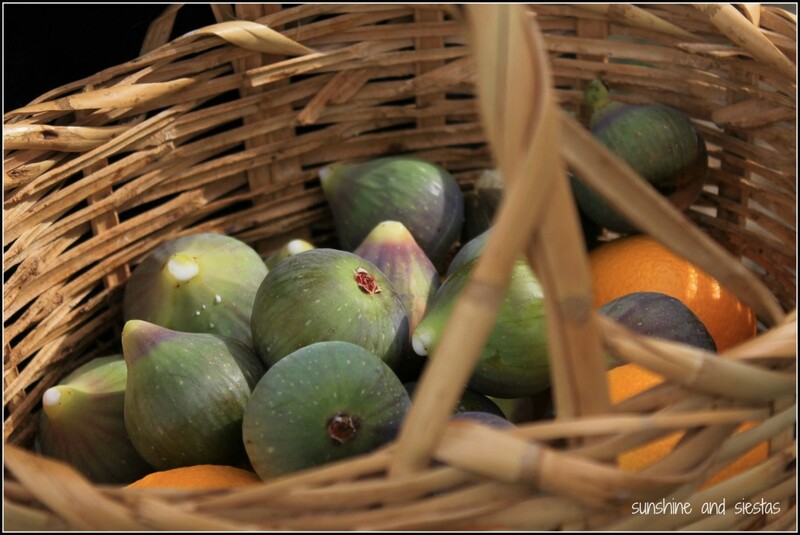 Later that day, our hand-picked lemons would dress up our fideuà, the oranges formed the base of a fresh salad with spring onions and cod, and the fleshy part of the figs were devoured, turning our lips red. My experience at A Cooking Day was offered to me for free by Mayte and Kety. My opinions, and the extra calories, are all mine. Most definitely – still dreaming of the Fideuá! Hi Sean, I wish I knew! Almeria and Murcia are good places to look for summer. Good luck! Sue Sharpe recently posted..Feets* Don’t fail Me Now….. I can’t wait for strawberries! Oh wow! This is great that you and Robin both went! Did you go at the same time? We did! Finally great to meet, as our attempts in our respective towns never seemed to work out! I was happy to make your encounter possible, another incentive to host you both! We had a great day, and it was nice to finally spend some time with the ever-busy Mickey and meet Robin and his wife! Stayed tuned for the full story next week. Oh man…I remember at the beginning of last year (Year 1) I was so frustrated I couldn’t find any strawberries in October, and then being mad I couldn’t find any figs the rest of the school year. I’ve been savoring my final two plums this week because the folks at the fruterías told me they’re already out of season! 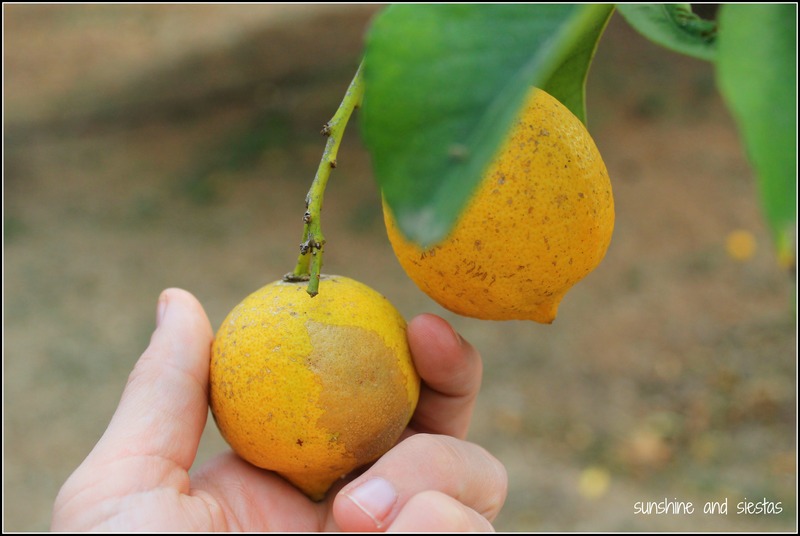 I have to say, moving to Spain has taught me about fruit seasons and to enjoy certain foods when they come around…after all, they’re fresher that way! It does take some getting used to, but it’s nice to know where your food is coming from! 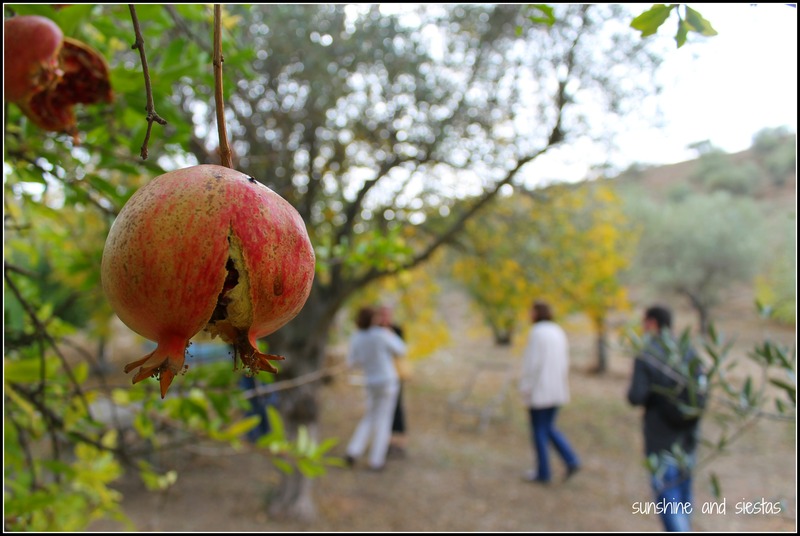 This is great, we have been on the hunt for pomegranates to pick. I think we are just going to drive around, after all we do live in “Granada” they have to be close by! We picked olives last year and we wanted to find something to “pick” with the kids over holiday break. I just love the fruit in Southern Spain! I only ever picked apples as a kid in the Fall, but those memories stay with you forever! I’m sure your kids would love some sort of cooking class (and they have pets!). We miss the UK’s supermarkets but Spain’s fruterías rock. It’s a great experience catching a bus on rural Gran Canaria too and seeing it weave past the long leaves from the trees of banana plantations. There are even banana-related fiestas too. Definitely agreed. I cheat because I live next door to the Alcampo, so we have cheap and bountiful fruit there. I can also get exotic fruit. Love the photos and I also got oranges in my stocking as a kid! Even though I was born and raised in California, my dad was from England and getting oranges for them had always been a big treat (along with hot roasted chestnuts). I sorely wish I could have spent my time here in Spain in a sunnier, more beautiful Southern City but since I’m here I’m planning as many day and two days trips as possible!